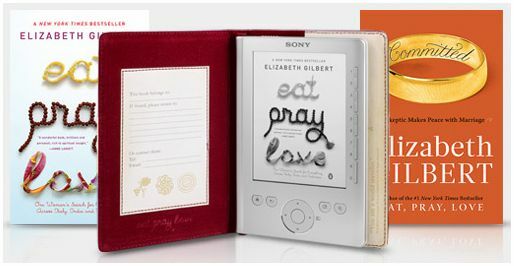 SonyStyle is offering a new bundle for the Reader Pocket Edition to promote the upcoming Sony Pictures movie, Eat, Pray, and Love—starring Julia Roberts. The movie comes out August 13th. Here’s the trailer. The bundle package comes with a silver Sony Pocket Edition, a special Eat, Pray, Love-themed cover, and a code to download the ebook from the Sony ebook store, as well as Elizabeth Gilbert’s next novel, Committed. The bundle package is selling for the same price as the individual device, so it’s a no-brainer. A regular cover usually costs $29.99 and the Committed and Eat, Pray, Love ebooks both sell for $12.99 each.